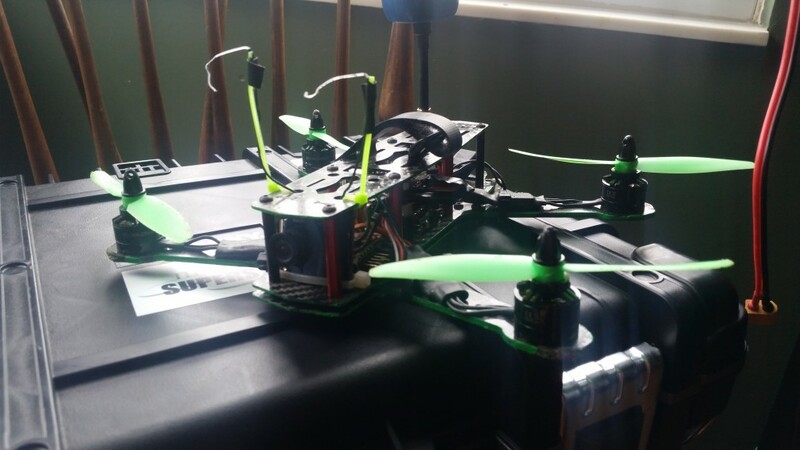 I wanted to write this post to just walk through all of the parts that I bought for The Green Machine, why I chose them, and then, since it was my first build of all time, suggest alternatives for some, now that I’ve learned a little bit more about what I wanted out of the quad. This 250 was build based on the awesome kit from Mini Quad Bros. 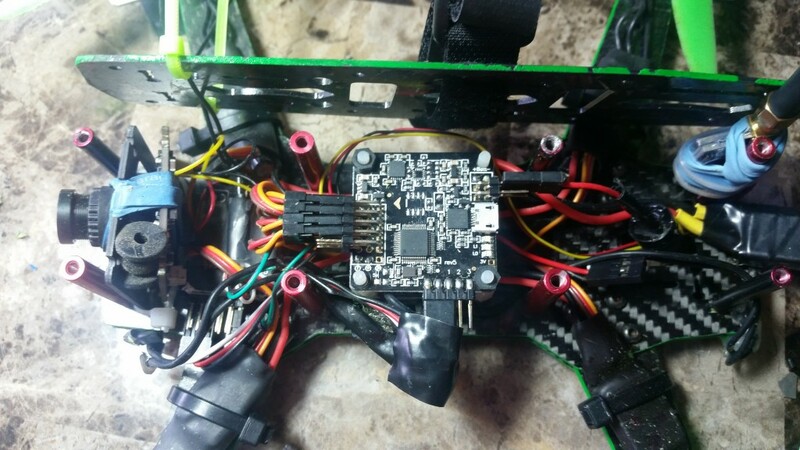 Since I purchased the quad, he has updated the parts that are standard in the build, so there are some things that might not be exactly with what is on his site. That being said, many things are still relevant. (links provided are from where I think would be the best place to buy, but you don’t have to get them from any particular place, and these aren’t necessarily the cheapest options, either. I actually often spend a fair amount of time on eBay searching around for the parts that I want). I love this frame, and will always have one around. It’s fairly light, very strong, and very cheap. I eventually ended up just buying two of them to have around for in case anything breaks, but it turns out that I haven’t yet needed any of the spare parts except for a standoff or two. 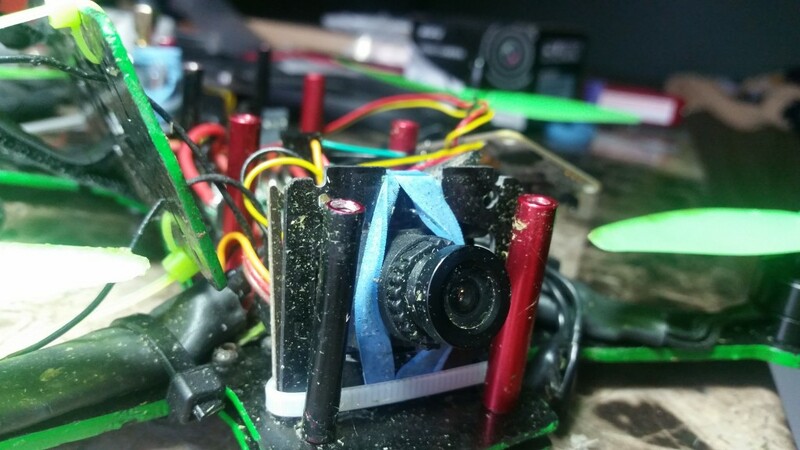 And the standoffs were my fault for being reckless with a step in the build process, so literally nothing has broken on this frame in over 8.5 hours of flight. It can definitely take a beating. Another reason that I love this frame is the wide amount of support for it. There are a lot of facebook groups and 3d printed parts that are available for it — you just can’t go wrong. In addition to that, you can also get some very excellent Power Distribution boards that are perfectly fit for it. 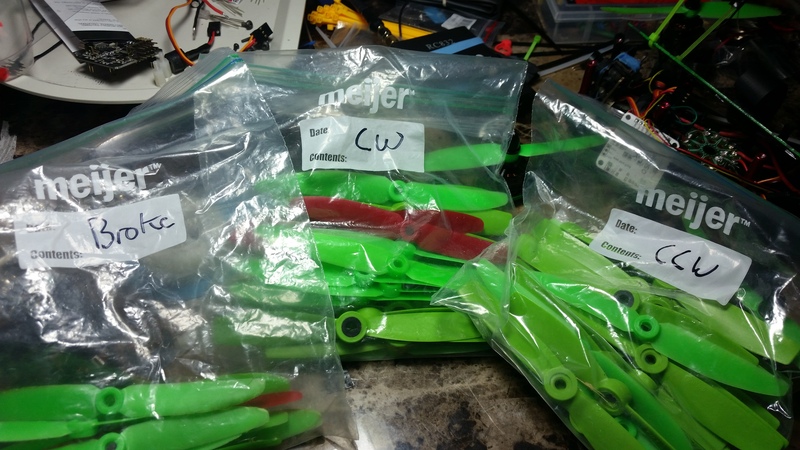 Can swing 5 or 6 inch props, depending on how clean your build is. 😉 Mine is not clean enough. Here is the whole, assembled Green Machine in all of it’s glory. These motors are.. fine. From what I can tell, they’re among the best 1806 size motors available. I can have them run 5030 props for long, slower flight times, or I can drop in 5045 Bullnose props for shorter more aggressive flights. That being said, in the 8.5 hours of flight time I’ve had this on The Green Machine, I’ve had 3 motors get bad bearings. Now, I don’t fly gently, and I crash into trees quite often, but that’s a high flight hours to bad bearings ratio. 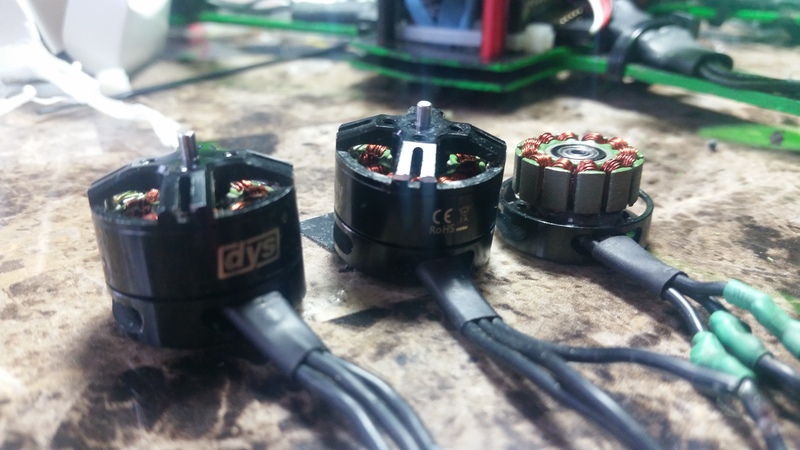 Instead of the DYS 1806 motors, there are two options that I would have chosen instead. Either the Cobra 2204 2300 KV motors or these Airbot Titan 2204 2300KV motors that are more often in stock. 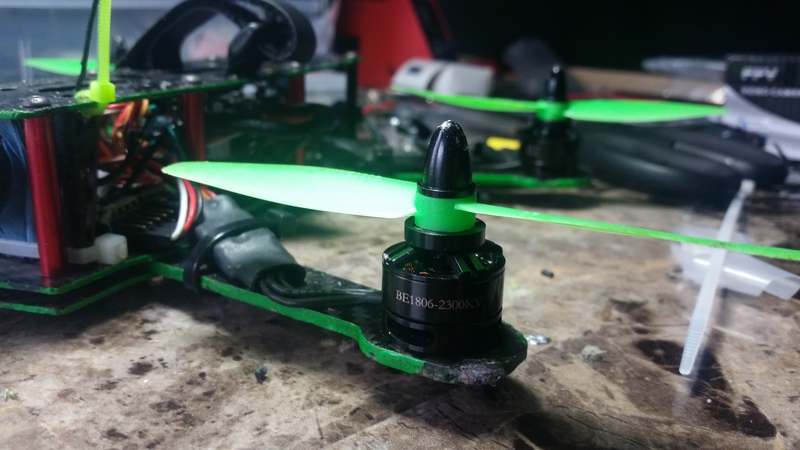 Having bigger motors would have given me the option to go 4S, swing bigger props, and just have an altogether more powerful quad with more options, for only.. 20 dollars more. And who knows, maybe those motors won’t have the bad bearings problems that these DYS do. Like I said, I’ve never owned either of these, so don’t take my word for it. But, knowing what I know now, I would have preferred to have gone for the bigger motors from the get go. Here is a close up of the DYS BE 1806, 2300KV Motors on my quadcopter, complete with battlescar from hitting a concrete pillar. Testament to how awesome the ZMR250 frame is, despite its low cost. I have zero complaints about these ESCs. They’re small, lightweight, easy to solder and work with, never get warm during flight, and they seem to keep up well. I originally bought 5 of these total when I bought the first set of parts from Mini Quad bros, but I haven’t needed to swap one out yet. In troubleshooting, I changed one out, hoping it would fix the problem, but it turned out to be a bad bearing, not a bad ESC. Having said all of that, if I went with the bigger motors, these ESCs would not be an option. 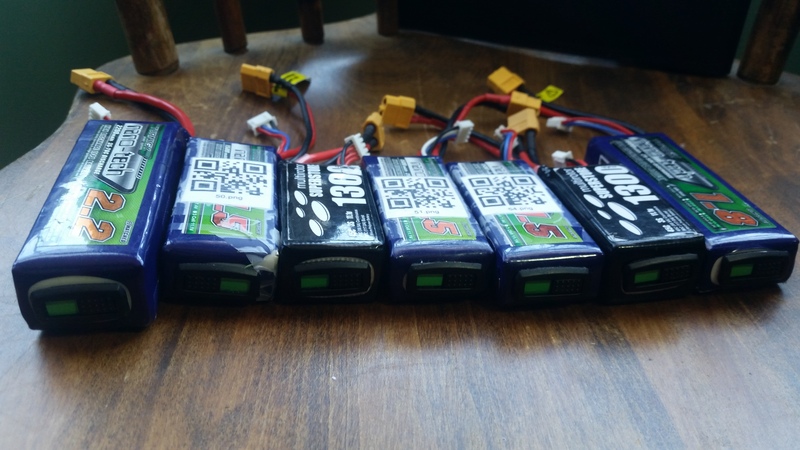 Like I said before, wanting to have more options (4S, larger props, etc) we’d need to be able to pull a lot more than 12 amps, and would need more capable ESCs as a result. Thus, I would have gone with these ones: SN20a OPTO they’re even smaller and lighter, handle more amps, and come pre-flashed with BL Heli and Oneshot (just a different firmware for ESCs that can do something called “Damping light” which gives the ESCs the ability to “put the breaks on” on the motors for extra, faster, more responsive control). My understanding is that I can flash the same firmware to these ESCs, but I haven’t tried to do the process yet, as I don’t have the proper hardware. A note about OPTO ESCs. OPTO ESCs do NOT have “BECs.” A BEC is a “battery eliminator circuit,” and it does a couple of things: 1 steps down power from the battery (for example, the Naze32 needs to be powered by 5V, while the battery will probably provide 11.8 or up, and it “cleans” the power from noise that would make the Naze32 uncomfortable. OPTO ESCs (to reitrate) do not have these, and therefore require an extra BEC. The Mini Quad Bros kit comes with one, but if you buy individual parts you’ll need to get or make one. This really is the best flight controller for a mini quadcopter. It’s widely supported, there are many options for firmware, each of those firmware are widely supported. It’s what the pros use, and it’s cheap. You really can’t go wrong with any of that. I have mine flashed with CleanFlight, but one could also go with BaseFlight. I chose cleanflight over baseflight for a few reasons: Damping Light (as mentioned above), autotune (which does some automagical PID setup), and a more active community working on continuing to improve it. The Acro Naze32 seated in The Green Machine. I use pinheaders so that it’s easy to take on and off if I need to. 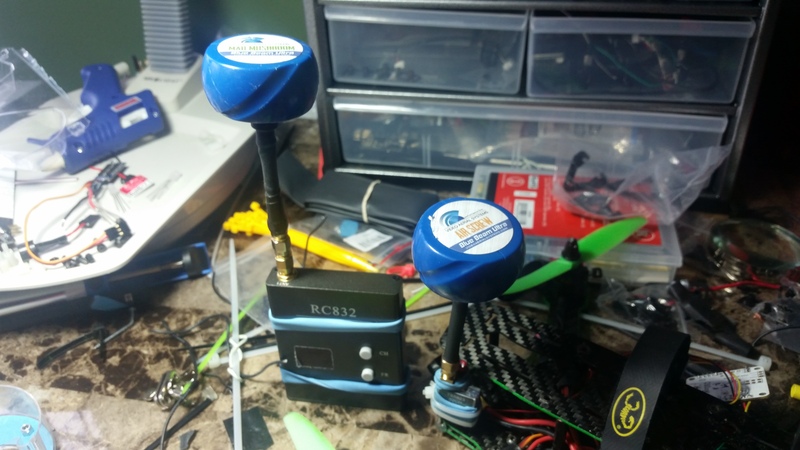 These are the only two kinds of props that I’ve used on my quad, and I like them both. I buy MANY at a time (think 80-120), because I am very deliberately not careful when I go out to fly. You will break many props — order as many of them as you can. The 5030 props have a nice, hover-y flight, and give me good battery life. I get great flight times, and performance is good, but it could be better. The 5045 bullnose give the quad a lot more punch, but it degrades flight times by at least half. Like I’ve mentioned, I really wish that I had the ability to try some 6 inch props, but I just haven’t had the chance to clean this up enough for it to be worth ordering them. These are the props that I keep in my case with me when I go out flying. Not a whole lot to say about this. It’s probably not the best option out there because it doesn’t have a whole lot of features, but it stacks in nicely with the OSDoge and ZMR, so I liked that it fit in well. You’ll probably do a better job of soldering yours than I did. The power distribution board in action. This is a great camera. I think just about everyone that’s experienced with FPV would tell you that this is the camera that you want to use. The IR blocking version is excellent for daytime flight, and it runs off 12V power, so you can use it out of the box with 3S. That being said, you’ll want to do some sort of filtering of the power with an LC filter of some sort. I personally use an OSDoge (which I’ll talk about in a second), but it does an awesome job. I spent quite a bit of time tinkering with the internal settings of the camera. You can see that it comes with a little board that has buttons on it that you can use to change the internal settings of the camera, so that the light isn’t over exposed, etc. Eventually, I found Oscar Liang’s settings fosthe camera, and that was pretty much what I stuck to when it was all said and done. I had a little trouble mounting it to my frame, so what you see is a little bit ugly. If anyone has any better suggestions on mounting it in the ZMR frame, I’d love to hear them. This is another part of my build that I’m really quite satisfied with. This is my second copy of this transmitter that I’ve had. I accidentally fried out the first one while I was testing something unrelated, and plugged it into battery power without the antenna. DON’T DO THIS. It’s very bad for your video transmitters. The only thing I don’t like about this thing is how hard it is to change the channels. Especially with the way that I have it mounted in there, it’s very hard to get in and swap channels when you’re out flying with anyone else. The range on this with the antennas that I have is great. I can fly out 2-3 soccer fields away, and only just begin to start having serious issues with fuzz/snow on the picture. It works just fine around and through trees, but with any 5.8 GHz, you’re going to get signal degradation through them anyways. No complaints about this. It’s a great video transmitter that works perfectly for the purposes of miniquads, especially for only 30 bucks. My astoundingly attractive method for mounting my video transmitter. Ugly, but effective. These aren’t the greatest goggles in the world, but for $40, they’re amazing. I have tried Dominator V1s, and they are definitely better, but if you can’t afford to drop $250+ on goggles, then you can’t go wrong with these. They do an amazing job. I use mine with a ground station, rather than sticking them straight on the goggles. This is less portable, but I think it’s more comfortable and more stable. That being said, I think I’d rather have something that’s a bit more convenient, but this is fine for now. From what I understand, these are among the best antennas that you can get without making them yourself. I don’t know very much about antennas, unfortunately, and that’s something that I plan on changing. But, from word of mouth, these are what I’ve gone with. They’ve lasted well through some pretty serious crashes. I think I’ve slightly damaged one of them, and as a result, I moved it from the quad to the receiver so that it wouldn’t be in harms way as much. Blue Beam Ultra antennas on my receiver and my video transmitter on the green machine. The OSDoge was a little bit complicated of an install, but it was well worth the effort and price. While I don’t have a very clean build, this helped clean it up. 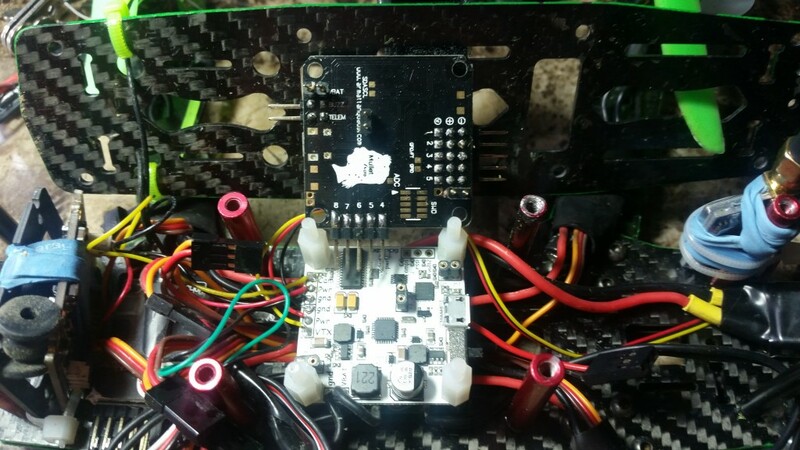 It also prevented me from having to use an extra BEC since my ESCs are OPTO ESCs, which means that they don’t have BEC’s built in, and therefore can’t power my Naze32. As a result, since the OSDoge has the ability to power the Naze32, I didn’t need to install my own UBEC. Good receiver. Not much to say here. Works well. Does it’s job. I use a Taranis transmitter (which I’ll talk about in a little bit) and one of the most powerful features that it offers is Telemetry. 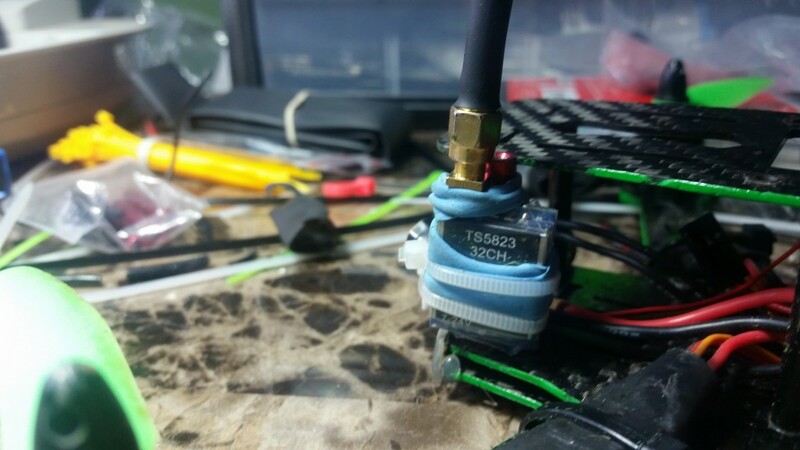 With this receiver I can use the telemetry that the Taranis has to offer, and save on the amount of wires that I need to use to connect the receiver and my Naze32. Simply put, I only need two cables (one for PPM (which is a way for the receiver and naze to communicate) and one for the telemetry). This simplification really helps. You just have to make one or two small settings changes in CleanFlight/BaseFlight to make it work properly. Here’s the video series that I followed to figure out how to get this setup. I would take some pictures and show how I did it, but this guy made an excellent series that’s worth a watch if you’ve never done it before. This is my receiver way buried down under a mess of cables. This is not a good solution and should not be copied. But, hey — the quad flies, so I’m not going to complain. This is hands down the best bang for the buck for transmitters if you can find it. I can’t begin to enumerate why this is the best radio, but it just is. It has all the features you want, 16 channels, and is very well supported. It allows you to run telemetry, and everything is customizable. I’ve even swapped out the default sounds for some more fun things. If you think that you’ll be in this hobby for any amount of time, this is the radio that you want. $200 is NOT MUCH for a radio, and unless you’re wanting to tinker for hours, you’re going to regret smaller things in the long run. I like 1500 mah 3S the best out of what I’ve tried. I don’t use 4S, so I can’t speak to that. But these give me about 5.5 minute flight times on average, and are the lightest for that. I’ve flown 1300-2200, all giving different sorts of performance. I’ll swap out given that which I’m doing. Not the best, but not the worst. Good bang for the buck. I basically just leave this on the 4.5 setting, and I bought one extra, smaller tip to use on my Hubsan X4, but it’s not necessary. These are invaluable for me, personally. I use them pretty much every time I solder anything. These are necessary for the motor screws and the screws for the ZMR250. These are very solid hex drivers, allow you to screw at an angle, and they’re just a nice set. I keep them in my case at all times. 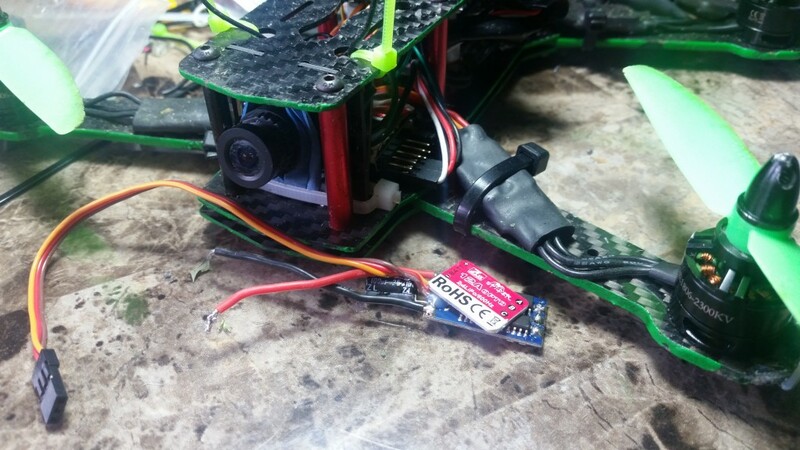 Get some big enough to cover your ESCs, and get some small enough to cover your smallest wires. I bought a pack at radio shack back in the day while it was still in business. This was something that actually got me stuck for a while because I had to wait on an order. Having extra of these around helps for a lot of things, especially when you’re hooking up via pin headers on your Naze32. Get many. I use them every time I work on my quad. Get them in various sizes. I use the Accucel 6 from Turnigy. I bought it off ebay, but it’s the one that’s on Hobby King. It works well enough, and it does 10 Amps. It’s fine, basically. I had a lot of trouble figuring out how to power it, because of the stupid XT-60 input.. I can’t explain why they have it that way, but I basically did this home-brew PSU update to make sure that I could get the Amps that I needed to power the thing. You can see a tutorial from Bruce at RC Model Reviews here: https://www.youtube.com/watch?v=ityrHaBLepg. Be careful when you do this — Old PSUs can hold on to a charge for a long time. Get this particular strap. I don’t need velcro, multiple straps, or anything. 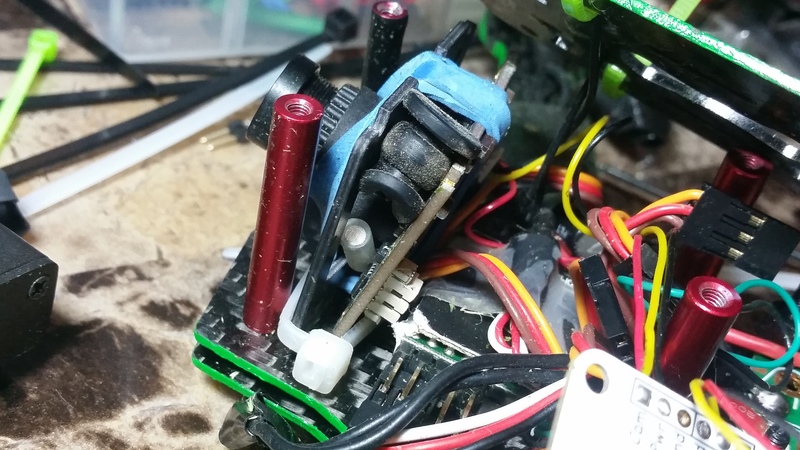 I use the “small” variety on my ZMR250, and it holds the battery in for most every crash. I’ve developed an application that you can use to track the flights that you take — know how much time you’ve spent on batteries, etc. Pingback: The Green Machine | paul. What a great, helpful, detailed post. Really helpful. I’ve wasted time and money getting a combination of parts that work together. Thank you very much! I’m glad it is helping you! If you have any questions about parts compatibility, please don’t hesitate to reach out! Hi, thanks for taking the time to write and post this. I’m almost done with my own 250 build and some of your tips will be helpful. Also, thank you so much for your app! I was just about to start a note on Google Keep as a flight log but this is way better. Would it be possible to get an option to change the weather units? I’m glad that you’re excited about the app! Helping people gather their data is something I’m very excited about, and I’m looking for better and better ways to keep improving on the app. Thanks for your feedback on the temperature units. This is a planned feature. I was a little bit short-sighted by hard-coding freedom units, but I have plans to add a whole profile management page where you can set privacy settings, change your profile information, etc. Why does your app require me to make an account? Very INCONVENIENT feature. Thanks so much for your feedback on accounts being required. This is actually a web connected app, so all of your data is stored securely online, so that you don’t risk loosing information. Unfortunately, this requires having an account to which to associate that information. Nice post! Not sure how I stumbled on this, but kudos. We need more people (I’m looking at you, funny-lookin’ dude in the mirror) putting up info like this. It’s such a fun, rewarding hobby. I ordered almost the same parts from China. One Question about the ESC and they not having a BEC: How you powered the Naze32? With the 5V 5A UBEC you linked? I want to build it with a wire harness and not use a PDB. So I have to solder the UBEC just to the wire harness, right? And if I want to add FPV equipment later, I thought it might be a good idea to presolder wires for the VTX as well I guess. I want to build it with a wire harness and not use a PDB. So I have to solder the UBEC just to the wire harness, right? And if I want to add FPV equipment later, I thought it might be a good idea to presolder wires for the VTX as well I guess. That’s correct, but many people recommend using an LC filter to smooth out any electronics noise from your motors drawing power. You may also need to wire in step down filters to convert power from your battery (3s or 4s) to whatever your VTX or Camera requires. I hope that helps! If you have any questions, please don’t hesitate to ask! It powers down to 5V and 12V and has a seperate switch for any LEDs, too. 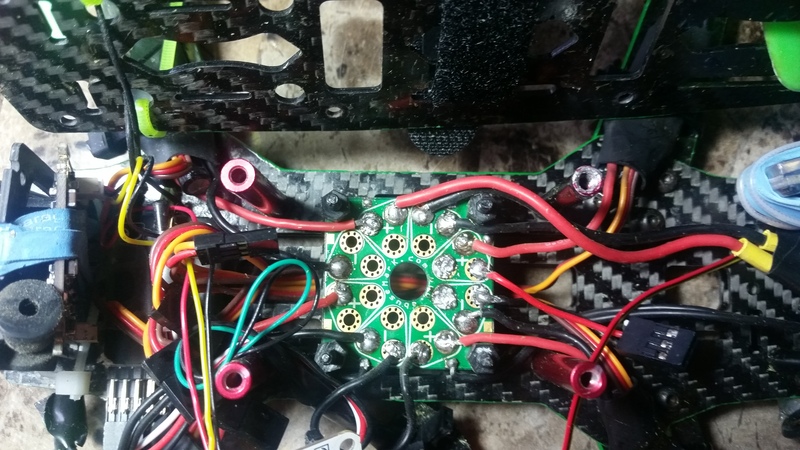 First I wanted to controll the LEDs from the Taranis, but than I would have to use a seperate brushed ESC in, so I could dim the LEDs during flight, but that seemed to complicated after I thought about it, because I want to use CPPM. So the switch on the PDB should work just fine. When I add FPV-gear later, maybe there is some stuff around, which already has the LC Filter built in, or I can just simply add one. 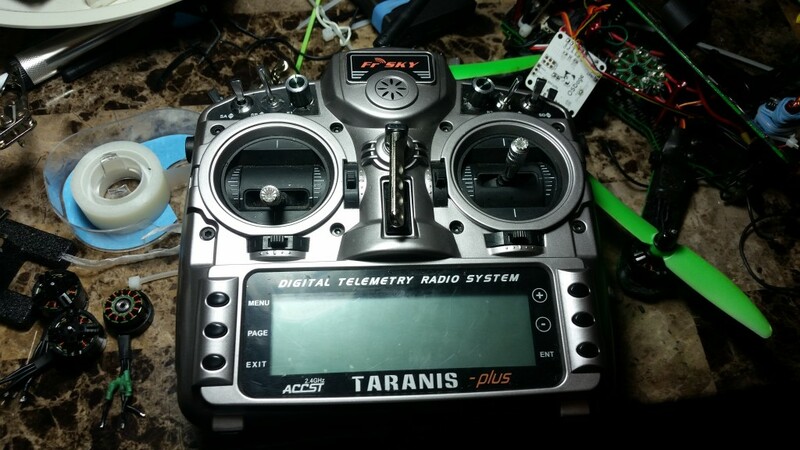 The OSDoge seems also tempting, but its a little on the pricy side with 80 Dollars and I thought I wouldn’t need an OSD on a 250 quad using the Taranis, since the Taranis can provide with telemetry-info such as voltage alarm and signal strength. This is a very detailed tutorial. Step by step. I may give this kit a try. Thank you very much. 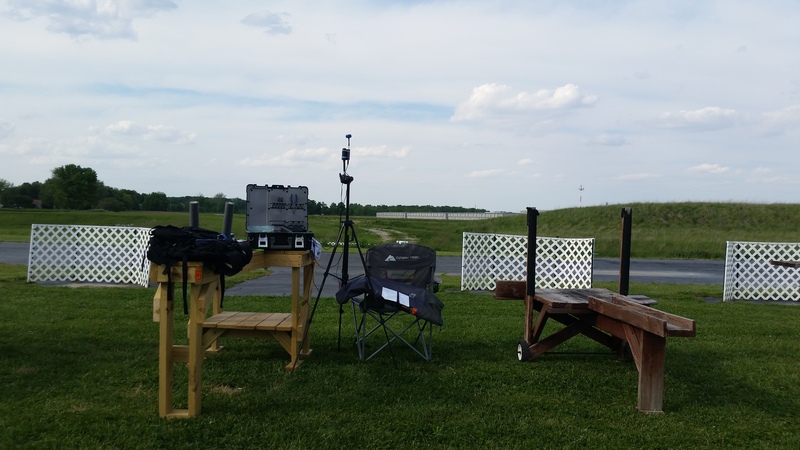 Pingback: Quadcopter Subsystems | paul. ã€€( 2012.02.23 20:08 ) : Amazing weblog! Do you have any susnegtiogs and hints for aspiring writers? Iâ€™m preparing to start my own web site soon but Iâ€™m a bit lost on everything. Would you suggest starting with a no cost platform like WordPress or go for a paid option? You will find so many options out there that Iâ€™m completely overwhelmed .. Any ideas? Kudos! I know it is hard to write content manually everyday, but there is solution for this. Hi Paul! I am building a quadcopter that needs to be able to carry an 8 oz load, fly 40ft away, and hover at 10ft for 2 min. Would a copter of this size be able to do this?